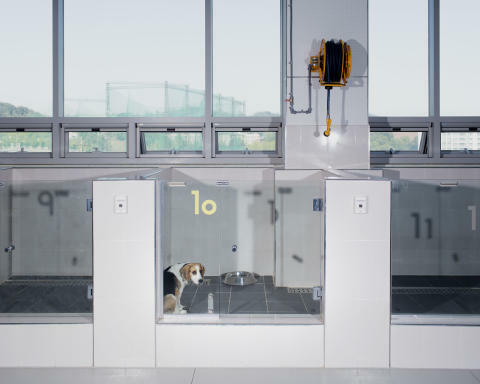 The Same New Pet/ Akseli Valmunen, where he has followed the research into animal cloning at a laboratory in South Korea. Finland brings Fotografiska’s desired photography scholarship home – again! Fotografiska is proud to present The Young Nordic Photographer of the Year (YNP). This year again, a young talented photographer from Finland was appointed by the jury: Akseli Valmunen is a 29 year old recent graduate from Aalto University, who will receive 10 000 Euro, a personally selected artistic mentor and a solo exhibition at Fotografiska during 2017. Once again the Young Nordic Photographer of the Year scholarship goes to Finland. The winner of the 2016 edition is Akseli Valmunen, a 29 year old photographer from Turku, Finland, recently graduated with a Master of Photography from Aalto University. 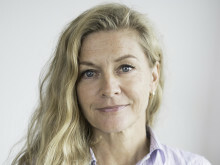 Valmunen works for one of Finland’s largest magazines: Helsingin Sanomat, and has been chosen Challenger of the Year by Finnish Photojournalism 2015 and 2016. Akseli Valmunen receives Fotografiska’s desirable scholarship of 10 000 Euro, a personally selected artistic mentor, and a solo exhibition at Fotografiska. The jury was captured by his series The Same New Pet, where Valmunen follows the research into cloning at a laboratory in South Korea. A place where pet owners, for a price of 100 000 USD, can clone their beloved but departed pet. Like one pet owner put it: ”It’s not the same one – but let me think that it is”. – I am truly incredibly grateful and surprised to receive the scholarship. I never believed Fotografiska would call me. I have been there many times and always admired everything I saw there. For me, photography is a way of life and I just must do it for a living. I am a storyteller and my way of photography is to tell those stories with out words. Maybe extra important for me who have a grave form of dyslexia, says Akseli Valmunen. – For Fotografiska, this scholarship is a fantastic way of contributing to the development of photography among young photographers in the Nordic region. We are really looking forward to an exciting collaboration together with Akseli Valmunen, says Jan Broman, Founder and CEO of Fotografiska.